Lies and misrepresentations are always harmful. But whom among us hasn’t told a white lie or two? When I first heard about the curious case of Rachel Dolezal, a white woman pretending to be black, I wondered how that made her different from entertainers and actors who embrace and celebrate black culture. People like Justin Timberlake, Robin Thicke and Gary Owen, an actor and comedian who happens to be married to a black woman, giving him a unique window into black culture. Who wouldn’t want to be part of a culture that brought the world Etta James, Muddy Waters and B.B. King? Or Muhammad Ali, Usher Raymond and Beyonce? I have always been proud to be an African-American. Next month, our family will gather in Atlanta for our 57th annual reunion. It’s a place to share love, recognize academic achievement and celebrate our heritage. 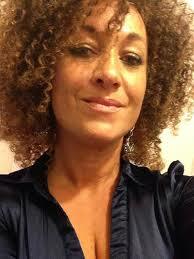 But when I found out Ms. Dolezal identified herself as African-American on job applications, my opinion changed. We don’t know Ms. Dolezal’s full story because she is dodging reporters. On Monday, she resigned as president of the Spokane, Washington N.A.A.C.P. That’s a good call on her part. Her lies have damaged her credibility and made it impossible for her to continue to lead. American history contains several instances of white people who gave their lives in the fight for civil and human rights. In 1964, Andrew Goodman and Mickey Schwerner, two young, Jewish men from the Northeast, were murdered in Neshoba County, Mississippi along with native son James Chaney as they attempted to register blacks to vote during Freedom Summer. 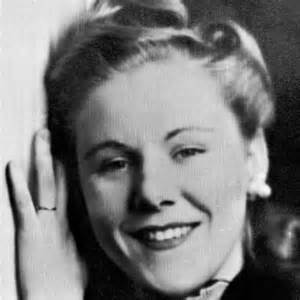 In 1965, Viola Gregg Liuzzo, a wife, mother and N.A.A.C.P. from Detroit, was shot to death in Alabama by members of the Ku Klux Klan as she worked to register black voters. And let’s not forget the fearless Freedom Riders, hundreds of black and white Americans who in 1961 were beaten and arrested in South Carolina and Alabama; and jailed in Jackson, Miss. on the ridiculous charge of “breach of the peace.” Their goal was to test the enforcement of federal laws prohibiting segregation in interstate bus travel. Ms. Dolezal’s case reminds of us a time when light-skinned black men and women passed for white to avoid such violence or to gain employment or a better education. Typically, they were the descendents of slave masters who raped black women they considered nothing more than property. These painful facts may help explain why so much anger is being directed at Ms. Dolezal. Our history is undeniable; and no matter how many times some folks try to rewrite it or justify it, the facts speak for themselves. They are part the reason we still have such much trouble talking about race in America. It’s personal, especially for southerners. You have to wonder why Ms. Dolezal, who was so active in an organization whose goal is fairness for all people no matter who they are, chose to be someone she is not. Chaney, Goodman and Schwerner were reported missing and later found dead in an earthen dam. They were shot and buried by members of the Ku Klux Klan. Viola Gregg Luizzo, a wife and mother from Detroit, was murdered by Klan members while helping register voters in Montgomery and Selma. She was shot to death while driving with a black man in her car.